Auto Glueberry O.G. 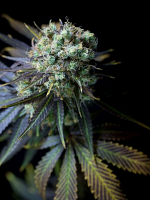 is the autoflowering version of the hard hitting, resin dripping photoperiod Glueberry O.G. Auto Glueberry O.G. 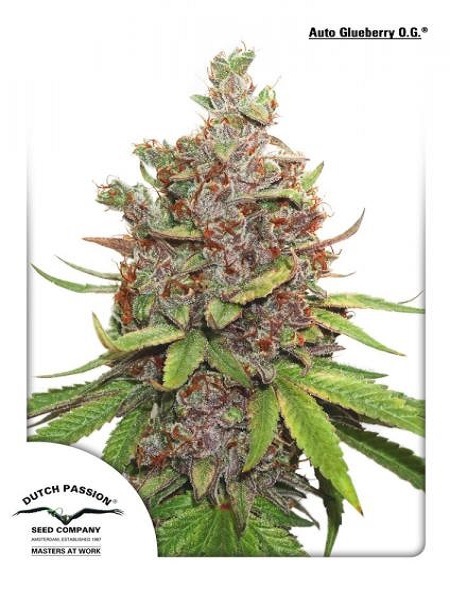 Feminized Marijuana Seeds by Dutch Passion Seeds: Auto Glueberry O.G. is the autoflowering version of the hard hitting, resin dripping photoperiod Glueberry O.G. To turn Glueberry O.G into an autoflower, we crossed (Gorrila Glue x OG) with the original Auto Blueberry to ensure the same taste and effect as her photoperiod sister. If you're looking for a sativa dominant, potent hybrid that can well be used in both SOG and SCROG grows, than try out this American delicacy. With subtle Diesel hints and fruity Blueberry tones, Auto Glueberry O.G. 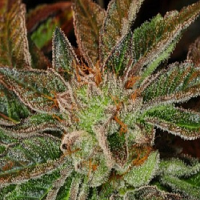 can be considered a sweet tasting strain with both Asian and American roots. 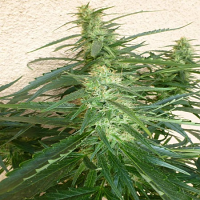 This sativa dominant autoflowering hybrid with extra large yields will please any grower both indoors and outdoors (in sunny climates) and ensures a great harvest to enjoy with family and friends.